Every business needs an attractive and SEO-friendly website in today’s world. It is very important to choose the right e-commerce website development platform for the business and select the right service provider according to their business needs. If you are looking for e-commerce solutions, you will need to find a suitable platform for developing a website. There are many open sources as well as paid CMS that can help you create the eCommerce website. 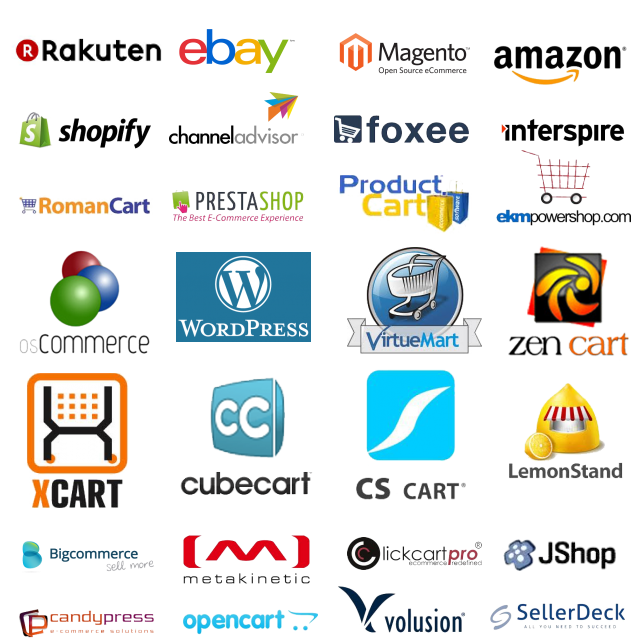 Most popular are – Magento, Joomla, Woocommerce by WordPress, Shopify, Opencart, Zencart, etc. As there are many options available today, you may get puzzled which one should you choose. If you are really confused, you can seek expert advice. There are many eCommerce developers who can help you to choose and develop the best website. You can also do some research and read reviews regarding various platforms of eCommerce including their price, performance, user rating etc. Rather than using the third party, free or sub-domain try to use TLD from a reputable registrar. Add a product review user-driven widget to increase the trust of products in front of your website visitors. It is one of the main factors of an eCommerce website. Evert product must have Title, description, price, high-quality images etc. To make business more effective visibility of the products is important. Try to offer multiple payment options to the users so that they can easily shop product from the wallet of their own choice. The most popular are Paypal, Skrill, Payoneer or use digital currency i.e Bitcoin. Try to make Checkout page as simple as possible, must complete in one or two step so that anyone can easily do the transaction. eCommerce website must have product filter widget which will help visitors to sort products according to their requirements. Sharing widget on all the product pages helps you to share your products on social media sites. The website must be SEO friendly which includes many factors like design, product URL’s, page load speed, ON page meta etc. These features can help your business to earn greater revenue with online customers. In the big competition, the online website will give you the top spot across all business genres. If you are opting for an eCommerce store and have no technical experience for managing your website, look for the company that provides affordable eCommerce website development services.